Vasabron is a bridge at Vasagatan in Örebro, Sweden. 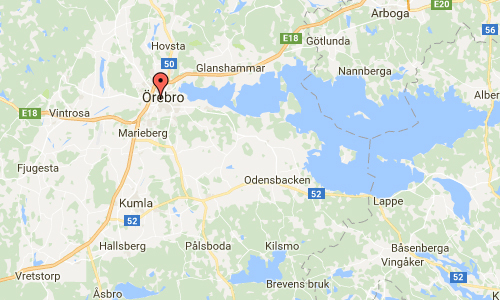 Örebro is a city with 117,543 inhabitants, the seat of Örebro Municipality and the capital of Örebro County in Sweden. 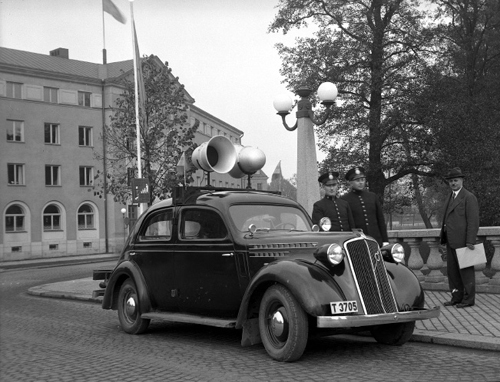 It is the seventh largest city in Sweden and one of the largest inland hubs of the country. 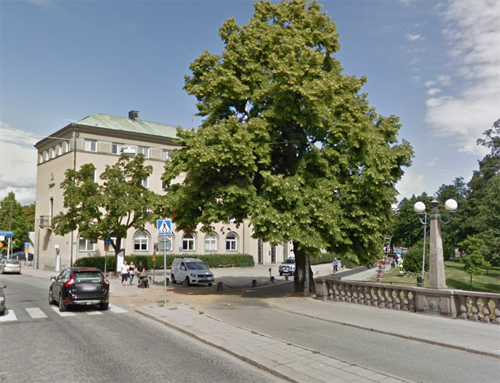 It is located near the lake of Hjälmaren, although a few kilometers inland along the small river Svartån. 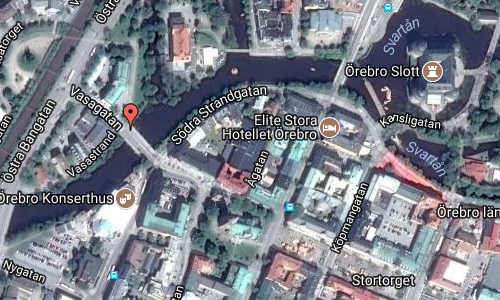 Örebro’s old town, Wadköping, is located on the banks of the Svartån (black stream). It contains many 18th and 19th century wooden houses, along with museums and exhibitions. The water tower of Örebro, named Svampen (The Mushroom), is a popular destination as an outlook tower. In 1971, a replica of the tower was built in Riyadh, Saudi Arabia. More information at en.wikipedia.org and www.visitorebro.se.